What Is The Difference Between A Wig And A Hair Patch? Today people lose hair due to many reasons and feel uncomfortable about hair thinning or baldness. For bringing their confidence back to them effective, advanced hair accessories are available. Hair accessories like hair wigs, extensions, wefts, hair patches etc. assist people feel beautiful and confident by covering their baldness. Hair patches and hair wigs are special accessory for people who lost their all hair or some spots. While selecting or deciding whether to use a hair wig or hair system, it is necessary to know the difference between both. The key difference between a wig and a patch is established by the area of the head that they cover. A hair wig usually covers the entire head and a hair system only cover a particular spot. Due to many health issues like trichotillomania or in some cases, early radiotherapy or chemotherapy, people lose their hair and as a result, they struggle from bald patches. For such bald spots or patches, hair system is ideal. It best suits to your needs as it covers spots not entire head. You can use as many patches as you need. The key reason to choose a hair patch in these conditions more than a total wig, is because the partial process may be blended in with the current hair and achieve possibly the most natural look. A hair patch is favored more than a wig when a person suffers from partial hair loss. On the other hand, if you are facing problem of total hair loss and problems like alopecia totalis and alopecia universalis, or even the after effects of radiotherapy and chemotherapy, along with other issues leading to full balding. When someone has full balding issue than full hair wig is the most preferred solution. As it covers your complete head and looks like natural hair. Hair patch for bald patches is the easiest and quickest solution to hide baldness. Different types of hair are used for different hair techniques. As a result, when looking for a hair system, make sure you know everything about the hair used in the patch. Some manufacturers use synthetic hair while some use natural hair. Natural hair obviously gives more natural looking solution to your baldness. Also, make sure that the hair color and texture matches with your natural hair or the patch will oddly highlight on your head, affecting your looks as well as confidence. For hair system or hair patch for men, feel free to contact us. Are you fed up of constantly waxing or shaving to get rid of unwanted body hair or facial hair; then probably you are already considering laser hair removal. 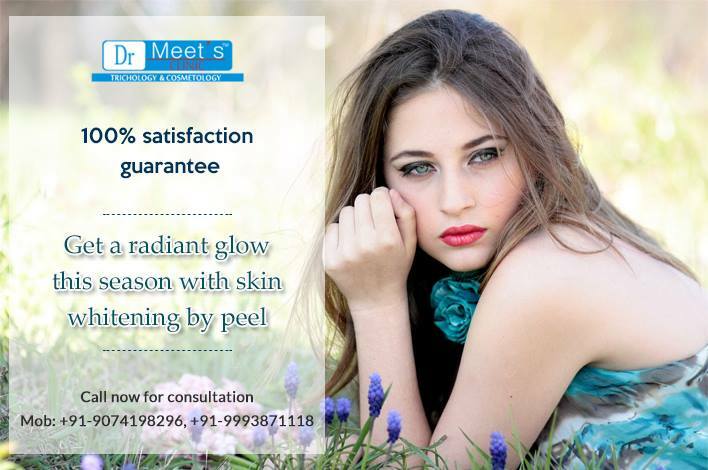 Laser hair removal is the most lasting solution for hair removal. It is more effective than waxing and shaving. If you have not thought about laser hair removal yet or it sounded too challenging, these 5 things will give you the correct information you need to make a decision. The most common areas for laser hair removal are the underarms, arms, lips, back, checks, legs and bikini line. Laser hair removal takes more time and is costlier for larger body areas than for smaller areas. Depending on the body part and hair and skin color, it generally takes between 6 to 8 sessions of laser hair removal to fully get rid of unwanted hair. There are very few side effects of laser hair removal for men/women. The most common is that the body part where the laser hair removal is performed can be a bit sore and swollen for between a few minutes and a few hours. In some cases, the skin can also get dark or light. Effects like scarring or blistering or changes in the texture of the skin because of laser hair removal are very uncommon. Side effects caused due to wrong or incorrect settings can be decreased by ensuring that the clinic you choose for the hair removal is registered and approved to give the treatment. Make sure to do some research before making an appointment. Find an experienced and qualified laser hair removal practitioner and ensure that the clinic is regulated. The cheapest clinic may not be regulated or deliver the best results. Before getting the treatment, book a consultation with the laser hair removal expert. During the consultation the doctor will ask about your medical history, check your hair and skin type to find out how the treatment will respond on your body. Before your laser hair removal treatment, you will need to ensure that you follow the advice of the expert. This advice will include things like: avoid waxing or bleaching the area to be treated, fake tan and sunbathing and avoid sun beds for several weeks before treatment. Laser hair removal works by passing a laser beam through the skin to the hair follicles where there is hair growth. The heat from the laser damages the follicle and thus stops hair growth. There is usually a cooling device fitted to the laser handset to cool the skin down. It generally takes many sessions to get rid of all unwanted hair, as hair has many phases of growth. 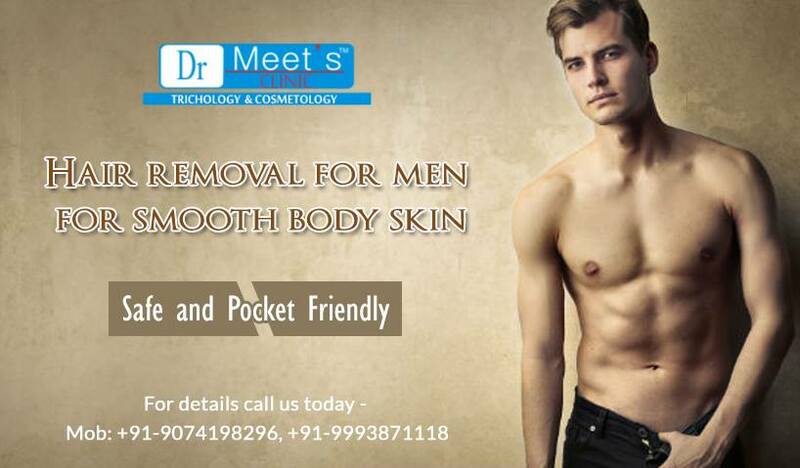 For hair removal for men and women, feel free to contact Dr. Meet’s Clinic.